I was going through all my photos on my hard drive and found these. 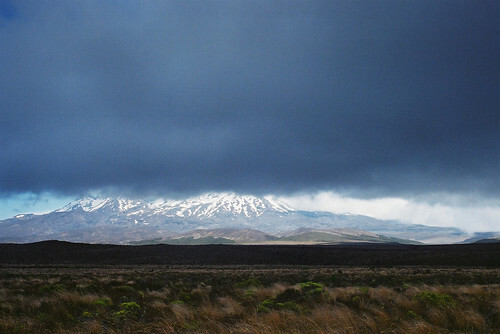 I was in my brother's car traveling from my sister's place in Palmerston North to Auckland which was a 6 hour journey. They were finally moving to Auckland after much persuasion. I remembered feeling rather carsick, thanks to my brother who thought he was racing the in the Grand Prix. Seeing the sinister looking cloud, I got him to stop the car to take a shot. 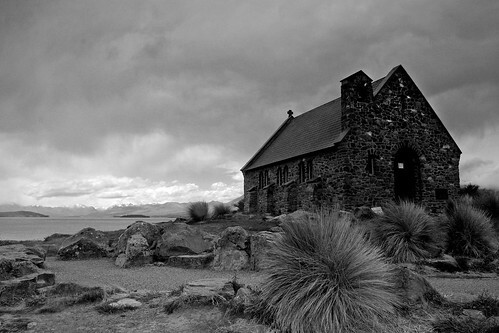 We were heading to Queenstown but stopped at Lake Tekapo for a breather. I rented a 2 bedroom apartment in Queenstown and took my parents to Queenstown to spend our Christmas there. It was rather cold despite being smack in the middle of summer. The apartment was beautiful and the view from the balcony was stunning. We ate our dinners al fresco and made full use of the barbecue. 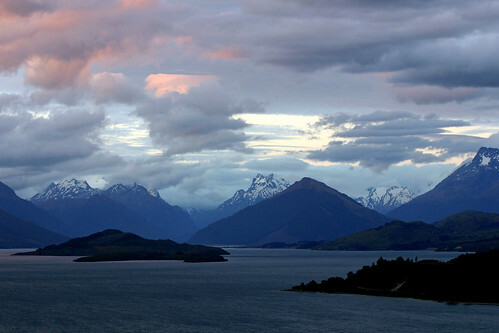 We drove along the coastal roads between Queenstown and Lake Wanaka that one night because I was obsessed with getting a sunset shot of the bay. *sniff* Feeling a tad homesick after seeing these photos.